Lansdale Critique Group – Women Only! 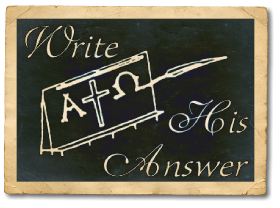 What do you get when a small group of women committed to the Lord and to “writing His answer” come together bi-weekly? Encouragement, prayer, fellowship, helpful critiques . . . The Lansdale Critique Group has been meeting in my home for over eight years every other Thursday evening from 7:30 until 10:00. We’re praising God for all He is doing. We kind of feel like midwives as ideas grow into polished manuscripts and ministries are birthed. If you’re seriously pursuing a writing ministry and are looking for a small group to hold you accountable to “finish what you started” (2 Cor. 8:10 TLB), call Marlene at 484-991-8581 or email me at mbagnull@aol.com. From the northeast extension of the PA Turnpike take the Lansdale exit. Turn left on Sumneytown Pike. At the 4th light (Valley Forge Road, PA 363) turn right. Anders Road is the third street on your left. Turn left. Stay to the right where the road forks. My home (a small beige rancher) is on your left on the curve with seven oak trees lining the property. For door-to-door directions go to www.mapquest.com.